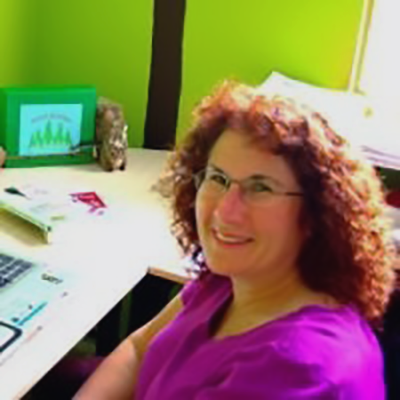 Marla Markman is a publishing professional and award-winning editor with 25 years of experience creating, editing, and managing nonfiction content for a wide range of media, from magazines and books to websites and marketing collateral. In a distant universe, she was on a path to become a veterinarian and then a park ranger, but it soon became evident that she was destined to work with words. (With an English teacher father and a sister who’s a writer, it’s in her genes.) After college and a brief stint as a florist’s assistant, Marla joined the editorial team at Entrepreneur magazine, the No. 1-ranked small-business magazine in the country. There she learned all aspects of the business and honed her expertise as managing editor. She was instrumental in launching the company’s trade book division, where she acquired, developed, and edited numerous top-selling book series. With business titles that included start-up guides and how-to articles as a stock-in-trade, Marla also learned something else: Business is not just about making money but about making people’s dreams come true. It felt good to help readers achieve their goals of business ownership along with the less tangible goals of self-expression and fulfillment. in nonfiction, she works with authors of all kinds, from first-timers to best-selling, as well as self-published to traditionally published, in addition to crafting, editing, and managing content for a range of media. When Marla is not working in her Southern California office, which she shares with her Golden Retriever (the company relaxation coach) and Fox Terrier (the company pep squad), she can be found seeking nature therapy in the great outdoors with her favorite hiking buddy who just also happens to be her teenage son.